The Supreme Court is likely to pronounce it's order on Friday on the question whether it’s 1994 ruling in Ismail Faruqui Vs Union of India requires reconsideration by a larger bench. 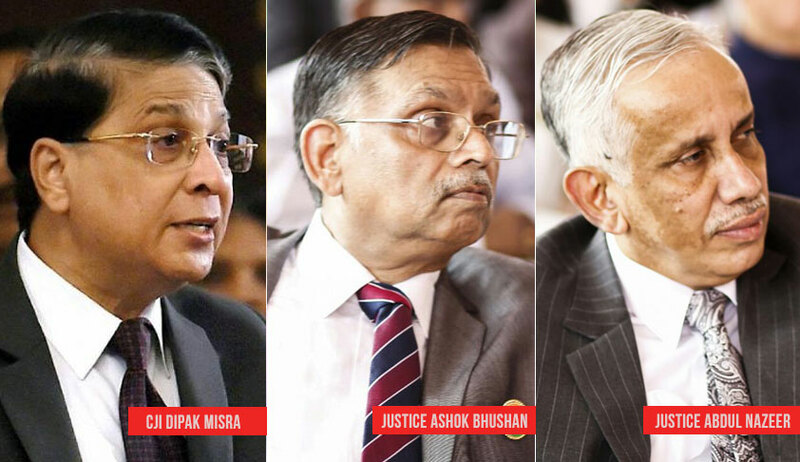 The bench of Chief Justice Dipak Misra, Justice Ashok Bhushan and Justice Abdul Nazeer reserved the order on July 20 on a string of appeals against the 2010 verdict of the Allahabad High Court in the Ram Janmabhumi-Babri Masjid dispute. During the hearing Senior Advocate Rajeev Dhavan suggested to refer the following questions for the consideration of larger bench. Whether, considering the Supreme Court judgments in Shirur Mutt, Venkataramana Devaru (1958) and Durgah Committee (1961), the question if a religious practice is an ‘essential practice’ can be decided by the ipse dixit of the court, without a detailed examination of the tenets of the concerned religion? Whether the test of ‘essential practice’ involves both ‘essentiality’ and ‘integrality’? (At an earlier occasion, Dr. Dhawan has relied on the three-judge bench ruling in Sri Adi Visheshwara of Kashi Vishwanath Temple v. State of UP (1997), wherein the apex court had observed that in determining whether the particular matters of religion or practices or belief are an integral part of the religion, It must be examined if the practices or matters are considered integral by the community itself and not be governed solely by the concept of essentiality). Whether the protection under Article 25 extends to all beliefs and practices of a religion or is restricted to those of ‘particular significance’ to the religion? Whether the analysis of ‘comparative significance’ of religions is permissible under Articles 15, 25 and 26 read with Article 14?